Volumetric Technologies Pail Filling Machines are Net Weight Fillers that are designed to accurately fill pails of your product by net weight. 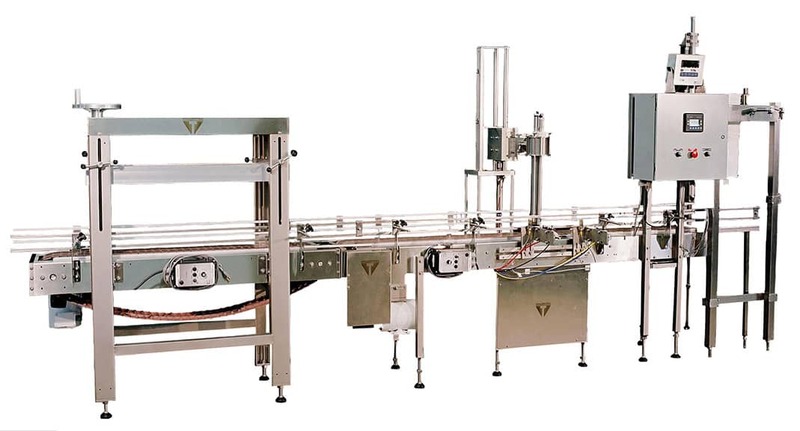 Net Weight Pail Filling Machines have a variety of servo controlled pump options, so we can select the perfect pump for your filling your products. Volumetric Technologies Pail Fillers are perfect for filling a wide variety of products such as bulk fruit slurries, pie fillings, sour cream, crème, crème fraiche, caramel sauce, chocolate sauces as well as many industrial lubricant products that are liquid or self leveling slurries. There is a wide variety of pump options available for both food, chemical and cosmetic applications, such as rotary lobe, bi-wing rotor, maso-sine, and industrial gear style pumps. Volumetric Technologies Pail Fillers & Pail Filling Equipment are used to automatically fill a variety of products by weight, into any size pail. Products range from salsa, salad dressings, oils, personal care products, chocolate sauce, honey, soups, fruit fillings, BBQ sauce, pancake batters, muffin batters, paints, marinades, and pasta sauces just to name a few. Contact us about your Pail Filling application today to see how we can help at 507-263-0034. The fully automatic Pail Filling Equipment will denest your tubs or pails onto the conveying line. The line indexes your containers to the fillings station, where the filling system fills your container. Once the load cells are satisfied that the product has been filled to the correct weight, the pails are released where they will travel downstream to be lidded. All components of the fully automatic pail lines can be used independently as standalone units or together as a complete pail filling solution.